The use of video recording in the classroom is a valuable routine not only for students but for the learning of the teacher as well. Key events to record are academic discussions, individual student oral presentations, and--as much as possible--student's learning processes as they build their skills. 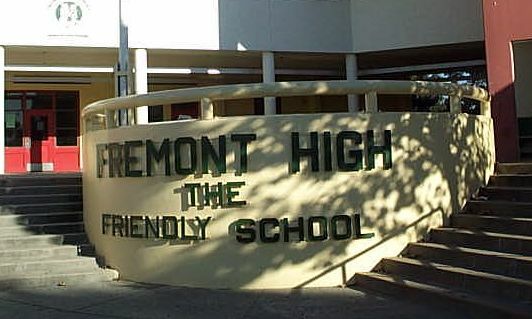 Students at Fremont High School also have a Senior Capstone Project and are expected to be able to present their research findings in both live and digital form. This is one example of a project where video recording becomes a necessary tool. From day one of the school year, the video camera slowly becomes a part of the village that is the classroom. Before students are recorded, the teacher shows a significant amount of footage from previous years, whether it be past seniors giving advice about student mindset or a snapshot of a Socratic seminar. Students learn quickly that the video camera can be an amazing tool for helping them to become excellent presenters, and discuss its value in capturing individual "isms" where a student has a particular presentation habit that needs adjusting. It is also useful to record students giving each other peer feedback in addition to teacher feedback. There is an added level of accountability when students know their feedback will also be recorded, which then leads students to focus on the language of the rubric to understand what is truly being assessed.